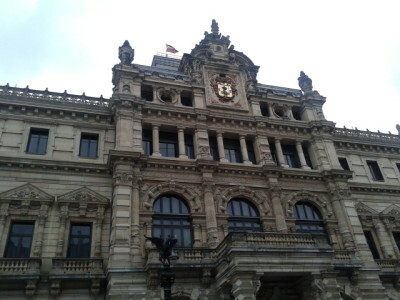 After exploring magical Donostia in the Basque Country, I ended up in the city of Bilbao. 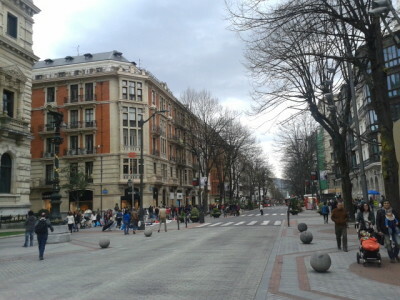 Bilbao is the largest city in the Basque Country and also the liveliest. There’s always something happening. The city is built around a river and some hills, giving it a real feel of city identity. No countryside or scattered towns, a clear end to the city. 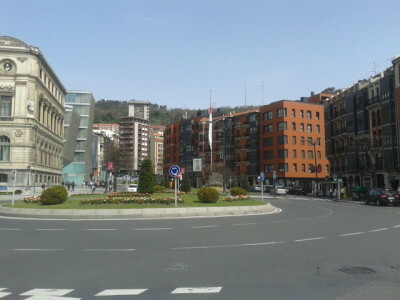 Everything you see here is Bilbao. There is pride here on the streets. 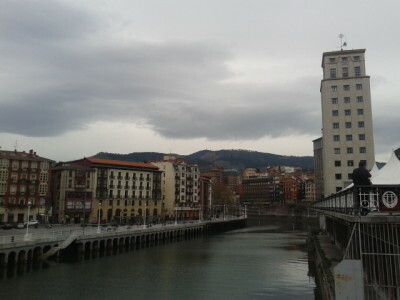 Bilbao is built by a river and with mountains in behind. I stayed in the Akelarre Hostel and set off with my map to explore these top 5 sights in Bilbao. 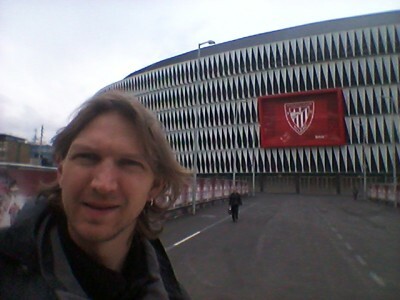 Athletic Club Bilbao are world famous, not just in the Basque Country and Spain. One phenomenal thing about their success down the years is that they only pick players from the Basque Country!! Yes that’s right. They have won European trophies, La Liga and over 20 Spanish Cups all through homegrown talent. They have won the league on eight occasions. In the history of La Liga, Athletic are in fourth place and one of only three clubs that have never been relegated from the Liga, the others being Real Madrid and Barcelona. 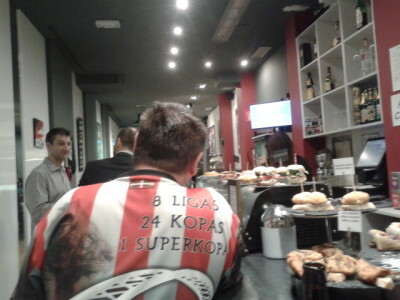 In the table of Copa del Rey titles, Athletic is second only to FC Barcelona, having won the Cup 24 times. 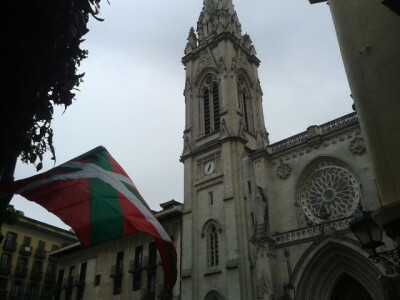 What is also amazing is that when backpacking in Bilbao it will be obvious that the entire city support their local team. Everyone wears the red and white stripes. Flags are everywhere, bars have flags up. I was lucky enough to be there on a night when they were at home and could see the atmosphere first hand. While I didn’t go to the match, I watched it with the locals in the bars and was totally amazed by the passion the city shared for its beloved and sacred football team. That night they drew 1-1 with Valencia and by coincidence I met the entire Valencia team boarding their team bus! 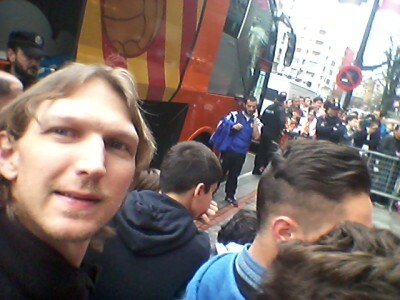 Meeting the Valencia team while backpacking through Bilbao! 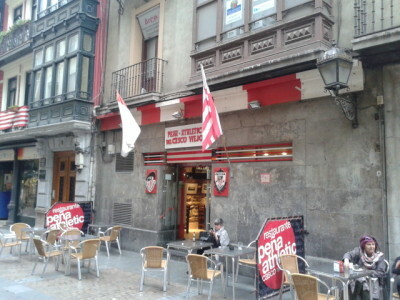 The oddest thing about the name of the club for me is that in English we often refer to it as Atletico Bilbao, yet locally they use the English version Athletic Club Bilbao – it was formed by Brits. 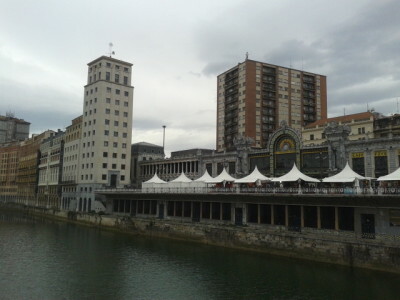 The St. Nicholas Church is on the edge of the old town and faces the river (Ria de Bilbao). 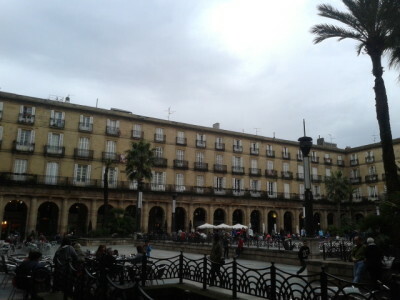 The plaza nueva is the main square in the Old Town, which felt like an odd name to me as I swore that “nueva” meant new when I studied Spanish in Uruguay! Kids play football here, classic Spanish architecture surrounds you and there are lively bars and restaurants all around it. 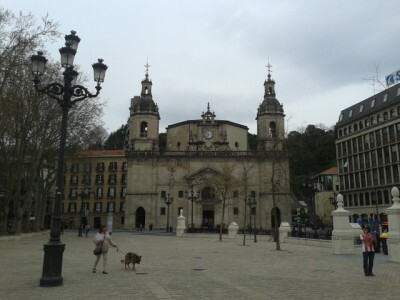 In the heart of the old town’s poky streets sits the Catedral de Santiago. This most spectacular museum and building is a highlight. It’s modern art and it’s world famous. It’s been in the James Bond film The World is Not Enough which was cool to see, given that I also visited the James Bond Oil Fields in Azerbaijan two years earlier. 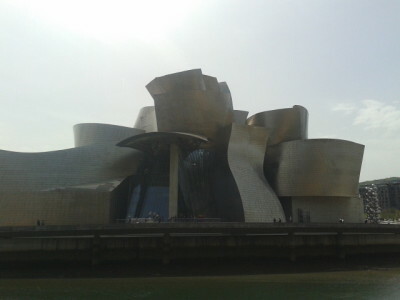 There are of course a few other top sights such as the Basque Museum, Bilbao is a city of design. Immaculate streets, stylish bridges, old and new architecture and very proud locals. I totally recommend a visit but feel I only scratched the surface with the city. 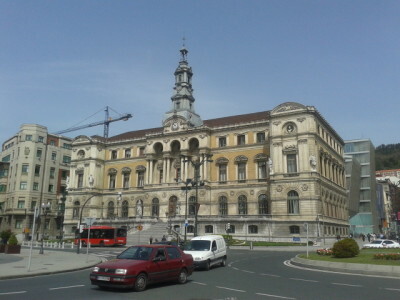 Here are a few more cities of Bilbao. 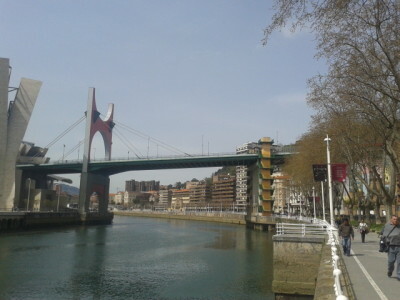 This entry was posted in Basque Country, Bilbao, Europe, Lists, My Top 5s, Spain. Bookmark the permalink. 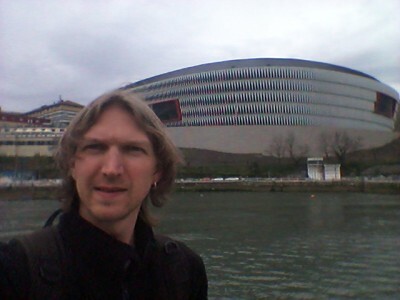 Bilbao certainly looks interesting …. hope you enjoyed seeing everything in the low season despite the weather being less than optimal!